Since it was a short session and a short slide deck, this post provides a bit more background information. Before continuing, note that this post focuses on Microsoft Azure with its Azure IoT Suite. The concepts laid out in this post can apply to other platforms as well! To demonstrate that it works, you can use simple and cheap sensors. But do they work in the long run? What about calibration? You can use any library you find on the net but stability and accuracy might be an issue in production and even in the prototyping phase! You can store secrets to connect to your back-end application directly in the sketch. In production however, you will need to store them securely. Using TLS for secure connections is easy, provided the hardware and libraries support it. But what about certificate checks and expiry of root and leaf certificates? You can just use WiFi because it is easy and convenient. Drop Arduino and move to C/C++ directly on the metal; heck, maybe you even have to throw in some assembler depending on the use case (though I hope not! ); your focus should be on stability, speed and power usage. Provide two-way communications so that devices can send telemetry and status messages to the back-end and the back-end can send messages back. Provide a firmware update mechanism. Easier said than done! Make sure the device is secure. Store secrets in a crypto chip. Take into account that many devices will not be able to connect to your back-end directly, requiring a gateway at the edge. The edge should be adaptable as well, with options to do edge processing beyond merely relaying messages. What are some of those additional edge features? Ideally, the edge components are developed and tested in the cloud and then exported to the edge. Azure IoT Edge provides that functionality and uses containers to encapsulate the functionality described above. In a previous post, I already talked about setting desired properties with Device Twins and that today, you need to use the MQTT protocol to make this work. You can use the MQTT protocol directly or as part of one of the Azure Device SDKs where the protocol can simply be set as configuration. The concept of jobs makes the solution even more adaptable since desired properties can be set on a group of devices using a query. By creating a query like ‘all devices where tag.building=buildingX’, you can set a desired property like the reporting interval on hundreds of devices at once. It is relatively easy to plug in new downstream components or modiy components. As an example, Microsoft recently made Time Series Insights available that uses an IoT Hub or an Event Hub as input. In a recent blogpost, I already described that service. Even if you already have an existing pipeline, it is simple to plug in Time Series Insights and to start using it to analyze your data. In the previous article, Control Sonos with a easy to use API, we configured a Docker container on a Raspberry Pi 3 to run an easy to use Sonos API. I prefer this solution over writing code on the Photon to control Sonos. Now it is time to let the Photon talk to the API on the PI 3 to load a playlist and start playing or to stop playing at the press of a button. You will use the request variable to configure the request. When you configure request, you will need to specify a hostname or an IP address. I used the IP address of my RPi 3 (SonosController above). By setting the request path appropriately, we can easily load a Sonos playlist or pause. See the GitHub page at https://github.com/jishi/node-sonos-http-api for more paths to use. There is much more you can do! Above, we target a specific Sonos Player (Living Room). As you can see, this is very simple to do and keeps the Particle Photon code cleaner. The code is kept pretty simple so no error handling, logging etc… You can find the full code in the following Gist: https://gist.github.com/gbaeke/9c185e82e7f23c0c4c9d803990d3660f. Have fun!!! In an earlier post, Controlling Sonos from a Particle Photon, we created a small app to do just that. The app itself contained some C++ code to interact with a Sonos player on your network. Although the code works, it does not provide you with full control over your Sonos player and it’s tedious to work with. Wouldn’t it be great if you had an API at your disposal that is both easy to use and powerful? And even better, has Sonos discovery built-in so that there is no need to target Sonos players by their IP? 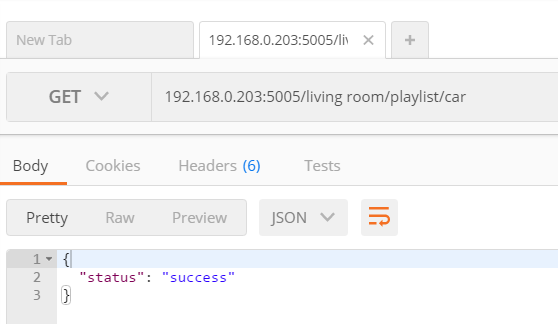 Well, look no further as something like that exists: https://github.com/jishi/node-sonos-http-api. 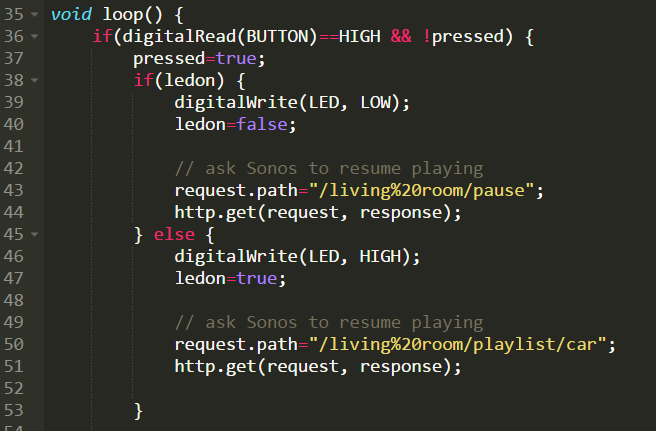 The Sonos HTTP API is written in Node.js which makes it easy to run anywhere! After building the image, I tagged it sonosctrl (using docker tag). You will see the tag of this image coming back later when we run the container. Great! We have a Sonos API running on a Raspberry Pi as a Docker container with a few simple steps. 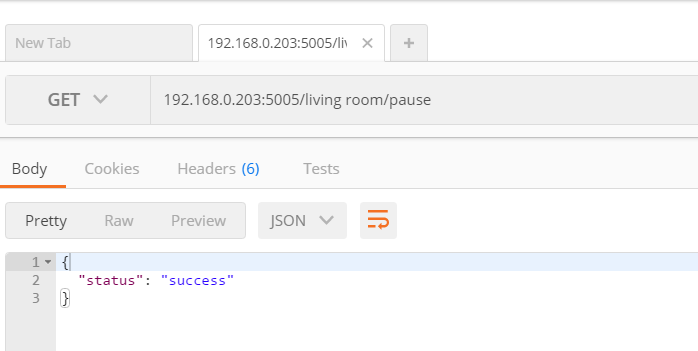 We can now more easily send commands to Sonos from devices like the Particle Photon or an Arduino. I will show you how to do that from a Particle Photon using the HttpClient library in a later article. 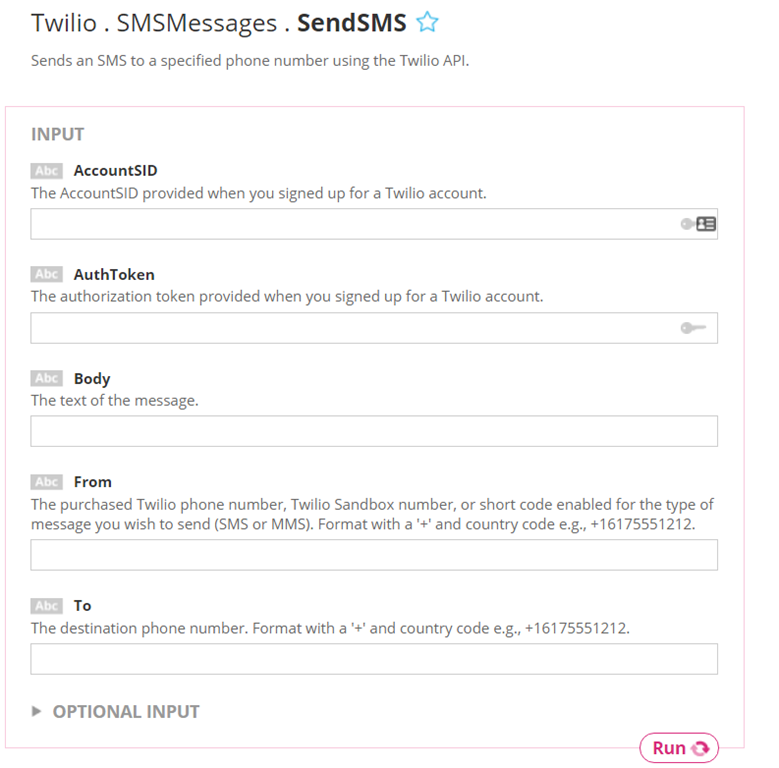 In this post, I will provide an overview of how to use Twilio and Nexmo to send SMSs and voice messages directly from your device. I will use a Particle Photon but this also works from an Arduino, or a Raspberry Pi or basically any other system. The reason for this is that I will also use Temboo, an easy to use service that basically provides a uniform way to call a wide variety of APIs and even helps you with a code builder. I will use the same basic sketch form earlier examples. This means there is a photoresistor which measures the amount of light but also a button that will trigger the calls to Temboo to send an SMS and a voice message with the current sensor value from the photoresistor. Let’s get started shall we? You will first need accounts for all three services so go ahead and sign up. They all have free accounts to get started but remember they are all paying services. It’s up to you to decide how useful you find these services. When you want to send an SMS or send a voice message, you call the appropriate function with the message you want to send or the text you want translated to speech. After providing all the inputs, you will find the code below and then you will pick and choose what you need. You can find an example for SMS and Voice in the following gist: https://gist.github.com/gbaeke/15596e3e2d185eb11720c965ab33e179. The voice Choreo uses Nexmo / Voice / TextToSpeech. Tip: Nexmo can also take input from your phone (like press ‘1’ to turn on sprinklers) and send them back to your device! As you can see, Temboo and the APIs it exposes as Choreos makes it really easy to work with all sorts of APIs. I have only used Twilio and Nexmo here but there are many others. Again, these are all paying services and the lowest Temboo tier is quite pricey for home users. If you find it a bit too pricey, you can always use the Particle IFTTT integration to achieve similar results.